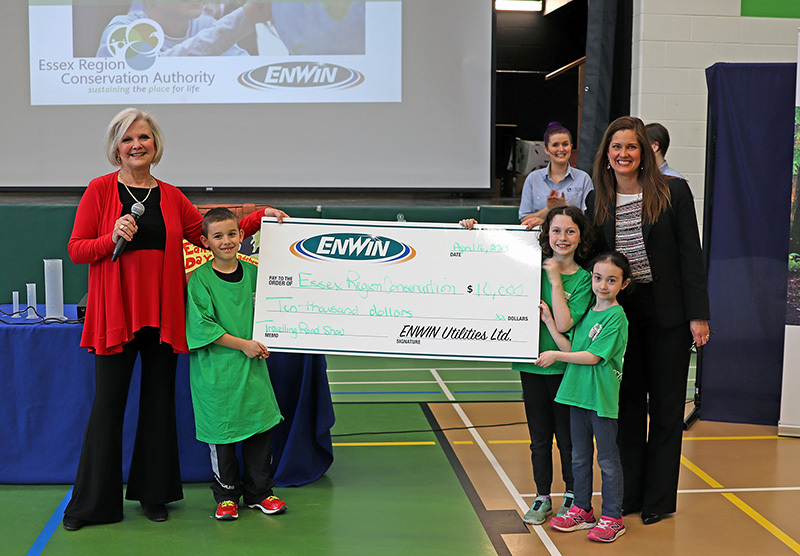 Windsor, ON: ENWIN Utilities Ltd. (ENWIN) announced a proud partnership with Essex Region Conservation today to support an educational outreach program delivered in a fun and informative presentation to primary students (K-4) across Windsor-Essex. Barbara Peirce Marshall from ENWIN (left) presented Susan Stockwell Andrews (right) of the ERCA Foundation with a cheque for $10,000 which will support the Travelling Road Show. During the show, students were introduced to larger-than-life characters, sang songs and participated in a variety of demonstrations in an engaging 50-minute presentation that will be delivered to schools throughout this week. 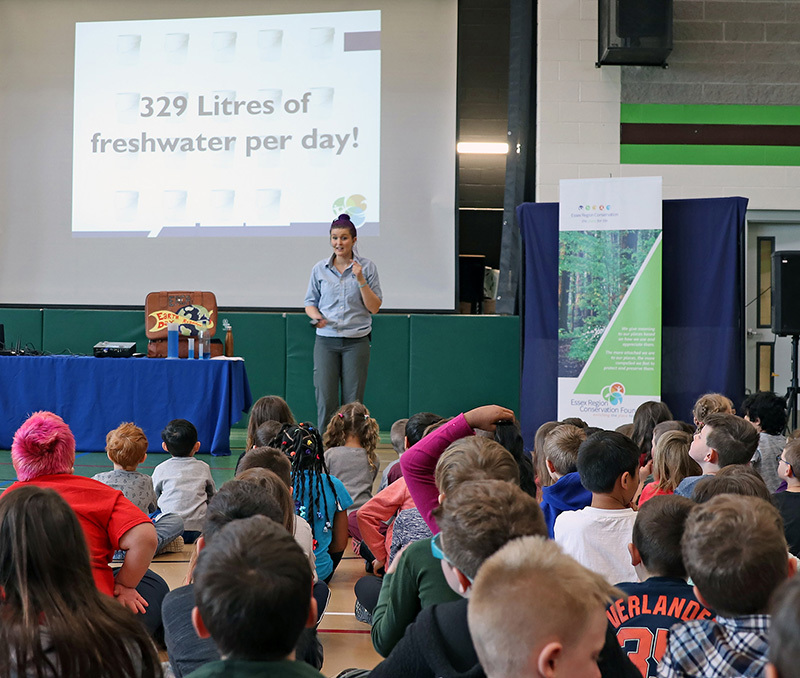 Through interactive discussion, students learned about ways they can make every day Earth Day, through the choices they make. Students also learned how water and electricity is delivered to their homes by their local utility, ENWIN.